Hailed by the New York Times as “sturdy”, “dynamic”, and “excellent”, Aubrey Allicock continues to make his mark among important opera companies and symphonies both at home and abroad. 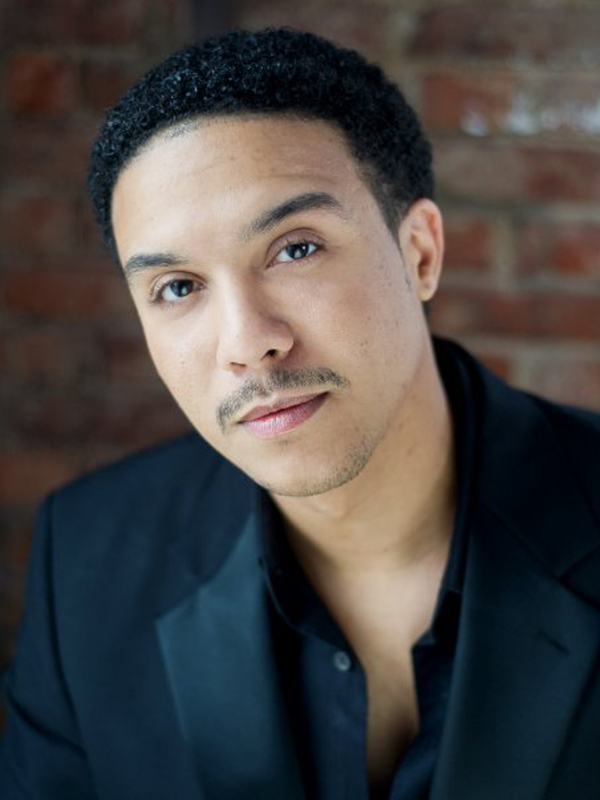 Recent and upcoming: he debuted at the Concertgebouw in John Adams’s El Niño this past December and made his Washington National Opera debut in a reprise of Terence Blanchard’s Champion as the Young Emile in the spring of 2017. He returned to Europe to make his BBC debut as General Groves in Doctor Atomic and recorded the work with Nonesuch Records. Mr. Allicock retunrs to Bard Music Festival as Janusz in Stanislaw Moniuszko’s opera Halka, sung in Polish; makes his Opera Philadelphia debut in the fall of 2017 in We Shall Not Be Moved music by Daniel Bernard Roumain and with Bill T. Jones directing with a reprise at both the Apollo Theater in New York and Hackney Empire Theatre in London; and, returns to the U.S. for a debut with New Orleans Opera in Champion and Michigan Opera Theater in the title role in Le nozze di Figaro. Mr. Allicock completed a return engagement at the Wexford Festival in Delius’s Koanga; a return engagement with Seattle Opera in the title role of Le nozze di Figaro and was Cadmus/Somnus in Semele with Opera Omaha in a James Darrah production. He returned to Opera Theatre of Saint Louis as Bulbul Fakh in Jack Perla’s Shalimar the Clown, after the novel by Salman Rushdie; and, sang with the Bard Music Festival in Busoni’s Turandot and concerts last summer. His triumph in 2014-15 season at the Metropolitan Opera as Mamoud in The Death of Klinghoffer brought him world-wide recognition that season. This auspicious debut was followed by a Carnegie debut in a reprise of his roles from the Ojai Festival as Tonic and Don Giovanni in Steven Stucky’s The Classical Style with Robert Spano conducting and where he was named a candidate for the Warner Music Prize. In addition, he made his Komische Oper Berlin debut that season as Escamillo. In the summer of 2014 Mr. Allicock made an unscheduled Glyndebourne debut as Argante in Rinaldo with Ottavio Dantone conducting in a Robert Carson production. In 2013 he returned to Opera Theatre of St. Louis for the world première of Terence Blanchard’s Champion, as the young Emile Griffith, the world-renowned prizefighter and made his Phoenix Symphony and New York Philharmonic Youth Concert debuts that season in Beethoven’s Symphony No. 9. He has sung the roles of Tiridate in Radamisto under the baton of Julian Wachner and director James Darrah; the Forester (The Cunning Little Vixen) with Anne Manson conducting and the U.S. première of Peter Maxwell Davies’ Kommilitonen! as the Grand Inquisitor. In the 2010-2011 season Mr. Allicock joined the roster of the Metropolitan Opera covering the roles of Astarotte (Armida) and Marullo (Rigoletto). Mr. Allicock has appeared on several occasions with the Opera Theatre of Saint Louis making his role debut as Mamoud in The Death of Klinghoffer; performed the Mad Hatter and Duck in the U.S. première of Unsuk Chin’s Alice in Wonderland; and, Zaretsky in Eugene Onegin. He has also covered the title role of Figaro in Le nozze di Figaro as well as the role of Figaro in The Ghosts of Versailles. He has performed with the Ojai Music Festival, Wexford Festival Opera, the Phoenix Symphony Orchestra, the South Bohemian Chamber Philharmonic and with Concerts-Austria as bass soloist in Mozart’s Coronation Mass at Karlskirche. Mr. Allicock has also had the honor of sharing the stage with Academy Award winning actor Louis Gossett, Jr. in Chamber Music PLUS’s production of New World: Portrait of H.T. Burleigh which featured the music of Antonín Dvořák. Mr. Allicock received his Artist Diploma from The Juilliard School; M.M. from Indiana University; holds a B.M. from Grand Canyon University and was a Gerdine Young Artist with Opera Theatre of St. Louis.